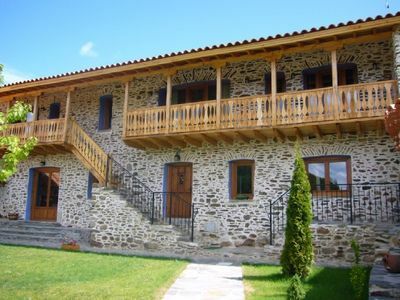 Our apartment at La Finca offers 2 bedrooms/2 bathrooms for four guests. 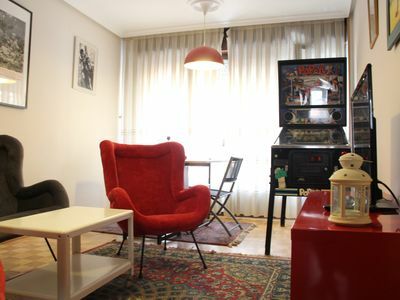 The apartment is fully equipped with first quality terminations and a practical distribution of the space. 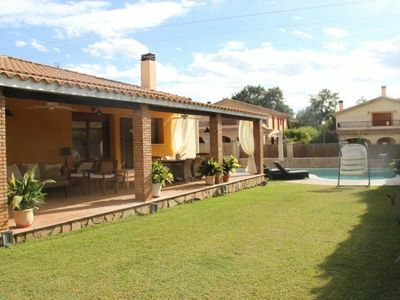 It is ideally situated within Los Arqueros just two minutes on foot from the Club House. 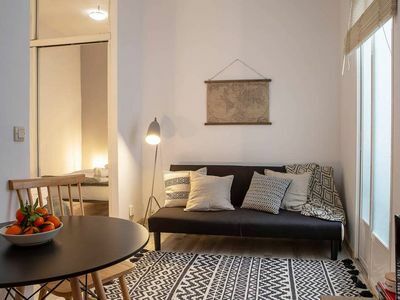 The apartment counts with a cosy living room with direct access to a spacious south oriented terrace. 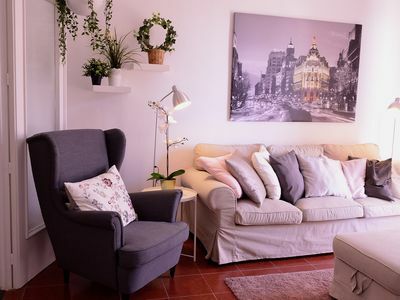 The living room is composed of two spaces: the dining space with a table for four that can be transformed into six and the living space to watch TV or simply relax on the sofa. Some games and DVDs are available for you. The full width glass door to the terrace offers the brightness from outside and a nice view from the living room. The floor is on marble and the finishings are all high quality. 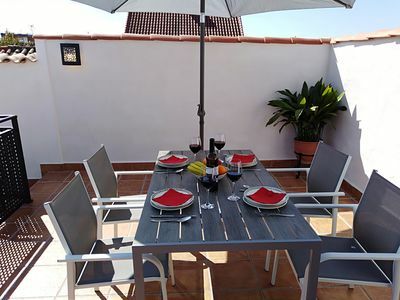 The 20m² terrace is equipped with a table for four and two loungers to relax enjoying the quietness of the place. The master bedroom has direct access to the terrace. 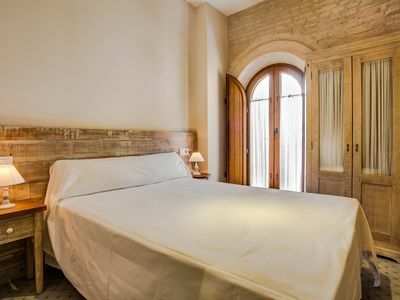 It is equipped with twin beds, bedside table, fitted wardrobe, blinds and en-suite bathroom. 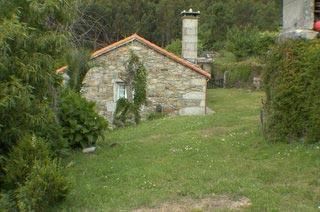 The main bathroom is fully tiled with luxury fittings, bath/shower over, wash-hand basin, WC and bidet. Linen, towels and hairdryer are provider. The guest bedroom has twin beds, bedside table, commode, blinds and fitted wardrobe. The spacious guest bathroom is equipped with shower, WC and wash-hand basin. Towels and hairdresser are provided. The bathroom is accessible from the corridor and is placed next to the guest bedroom. Designer fitted kitchen with Bosch appliances, fridge, freezer, cooker with fan oven and ceramic hob, full-size dishwasher, microwave, granite work surfaces and Nesspreso coffee machine. The kitchen is comprehensively equipped. Adjacent to the kitchen is the utility room with washing machine, air-conditioning unit, hot water tank and controls, iron and vacuum cleaner. It counts with some space to leave the suitcases or sport equipment. Linen and beach towels are provided for you to feel at home and not having to worry about it. 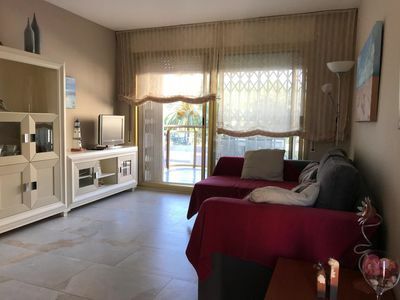 There is free WIFI in the apartment, some international TV channels and channels with the option for original version, air conditioning, heat and a for the youngest of our guests there is a travel cot and a high chair. 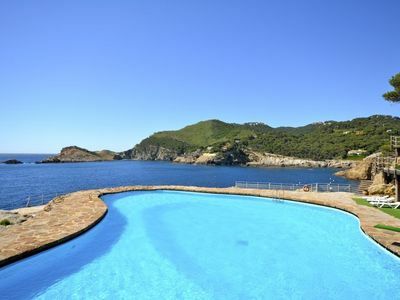 La Finca residential complex counts with a parking spot for our guests and a beautiful swimming pool with parasols, loungers and nice views to the mountains. 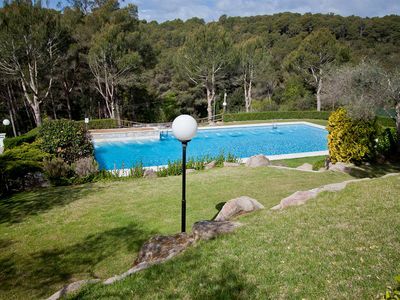 The apartment does not overlook at the swimming pool but it has easy access to it. 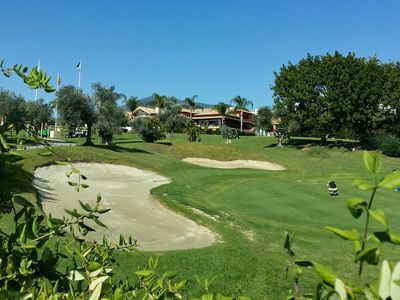 Los Arqueros is the first golf course designed by Severiano Ballesteros beautifully located in very nice, quiet and luxurious surroundings just 10 minutes from other well known golf courses like La Quinta or 15 minutes by car to Puerto Banus or Marbella. 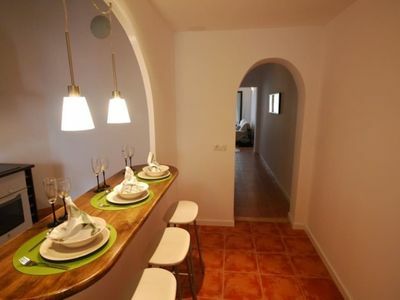 The apartment’s situation is not only ideal for golf lovers but also for beach or tourism lovers. The options for beaches, visits, restaurants and nightlife are many. Malaga & Gibraltar airports are each around 45 minutes away, with Granada airport a two hour drive. Los Arqueros is well served by taxis for evening outings to the coastal resorts of San Pedro (5'), Puerto Banus (10'), Marbella (15') and Estepona (15'), or the nearby mountain village of Benahavis (5'), but a hire car is recommended given La Finca ideal situation for exploring the magnificent scenery of the natural parcs further inland, along with the famous white hillside villages, the nearby coastal attractions and the many spectacular and ancient towns and villages of Andalucia, with Malaga approximately 45 minutes away, Gibraltar 40 minutes, Ronda 50 minutes, Jerez 90 minutes, Cadiz 90 minutes, Seville 2 hours, Cordoba 2 hours and Granada 2 hours. 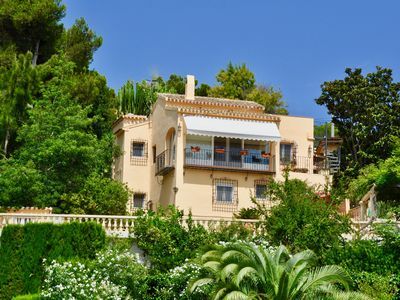 The picture perfect hillside village of Benahavis is just a couple of kilometres inland from Los Arqueros, with its huge choice of excellent restaurants. The large beach of San Pedro de Alcantara is within 10 minutes by car and in 20 minutes you can reach the ones from Marbella. The Costa del Sol is a mountain region with many hiking and biking options. The supermarkets and gas stations are five minutes by car. 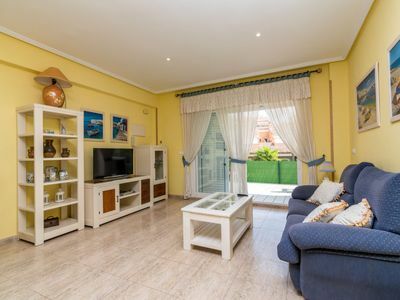 In summary a perfect situation to enjoy the advantages of a quiet and exclusive location while taking benefit of all that the Costa del Sol can offer to you. 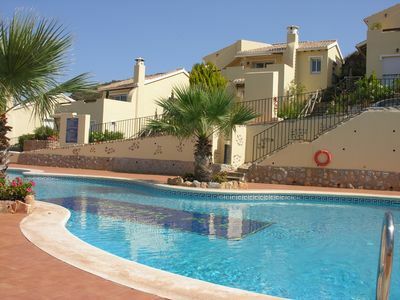 Spacious villa with frontline sea view, Casa Mirador. Lovely and Modern Loft in the city centre. 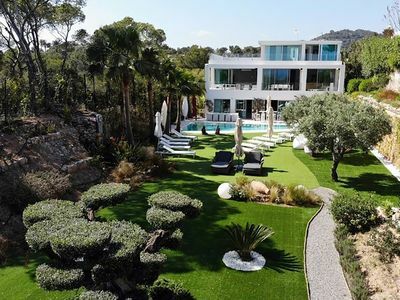 Luxury Villa Tiger in Ibiza, with 6 bedrooms, private pool.